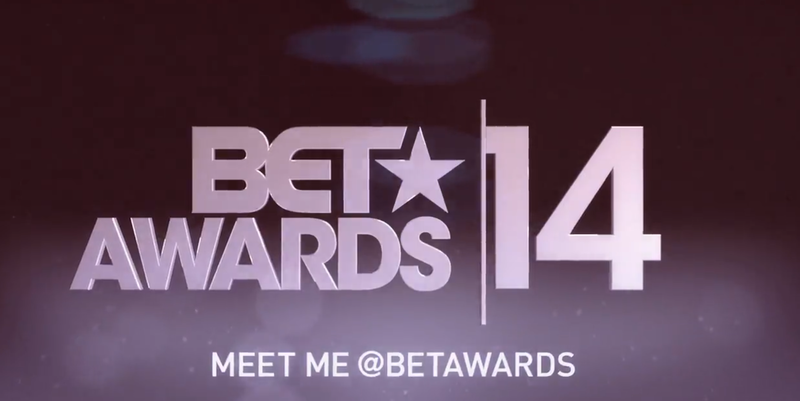 This past Sunday Black Entertainment Television aired its annual award ceremony, simply titled the BET Awards. The premise of the award show is to acknowledge achievement of black entertainers, however for those who watched, the intentions were arguably very different than its execution. Before I express my critiques, lets begin with the positives. A through Dee: BET Remembers Maya Angelou and Ruby Dee. Perhaps the greatest moments of the show came about two hours into programming. The BET Awards tribute to the late Maya Angelou and Ruby Dee was beautifully written and flawlessly delivered by timeless beauty Phylicia Rashad. The tribute was nothing short of essential, as the audience served as individual testaments to the paths paved by these women. Chris and the Comeback. A newly freed Chris Brown showcased his talents with the first live performance of his hit “ Loyal.” As this performance acts as the first since Brown’s release I commend BET for providing a platform for Brown’s comeback. Chris Rock Commentary. If I had to chose a favorite comedian it would have to be Chris Rock. Rock married a Howard woman, which wins him major props in my book- but he also blends politics with humor in a way that is both entertaining and fascinating. My favorite comment of the evening was where he said that civil rights movies appealing to majority audiences aren’t necessarily a good thing. While this comment was without a doubt lost in a sea of mediocre performances, this comment stood out as it spoke to the surplus of movies showcasing prevalent issues faced in the black community. Movies like The Butler and 12 Years of Slave join The Help as movies that showcase the turbulent history of blacks in America to an audience of white people. These movies have provided a fallacious platform for some to seemingly acquaint non blacks with what has come to be seen as a “black history” alienating some blacks from a depiction of their history. In the self-righteousness that has erupted from said audience, blacks have again become an afterthought, as some members of the majority have used their attendance at said films as an effort of many non-blacks to wash away past and present acts of prejudice. Soul Food Sunday. In the same breath that I commend Chris Rock, I will acknowledge faults in his delivery. In rebuttal to Ellen’s pizza distribution during the Oscars, Chris Rock used the BET Awards as a means to issue a “black” version of this distribution, hence the distribution of Chicken and Waffles to a mostly black audience. While many viewers undoubtedly battled between jealousy and embarrassment, Rock’s gesture undoubtedly took us back a couple of years. I make the following commentary with full acknowledgement of the prevalence of Miss Azelea and Robin Thicke in contemporary popular music. As a seemingly implied Black awards show, I feel as though the performers and award recipients should feature black entertainers. While I acknowledge that the BET awards may not wish to mirror a hurtful past of segregation, it is important to acknowledge the plight that black musicians continue to face. While I would argue that Iggy Azelea seeks recognition and credibility from blacks, her music is definitely geared to entertain a popular audience and crowd. While Robin Thicke’s situation is different, both entertainers should be deemed secondary to the network’s inclusion of a proper tribute to the recently deceased Bobby Womack. As a network that is supposed to commemorate blacks and their achievements, it is a total disgrace to brush off Womack and his achievements. Also, this blow is worsened by the significant airtime given to majority entertainers , who will get plenty of airtime in other award shows who will also conveniently overlook Mr. Womack. This deed taints the credibility of BET as it showcases its selectivity in properly acknowledging contributors to black music. Womack’s death occurred the Friday before the Sunday awards show. BET issued a ten second clip of singer turned actor Tyrese Gibson’s rendition of Womack’s famed song “ If You Think You’re Lonely Now.” While some may argue that this clip was “better than nothing” I would argue that this is equivalent to nothing. In this day and age the presence of technology makes commemorating our fallen pioneers simple. Thus, this recognition didn’t take much effort but required a single thought. This thought was a fleeting one of a network who saw fit to feature a skit on handsome felon Jeremy Meeks- but couldn’t show a picture or issue a proper tribute to a prolific figure in black music. I hang my head in embarrassment and shame. Perhaps what the worst part of all, is that many failed to notice any deficiency in Womack’s tribute. While some may argue that the failure of the masses to miss this tribute substantiates it’s absence I’d have to strongly disagree. BET is a platform to commemorate achievement but also enlighten the masses (especially millennials) of the feats of the past. This same ignorance was evident in the segment of Medgar Evers and segregation. Firstly, please allow me to commend BET for their inclusion of this discussion on segregation. I also applaud BET for presenting the best cameo in years, Mrs. Mearalie Evers. What bothered me about this part of the ceremony is that Ms. Evers and her husband (the late Medgar Evers) seemed largely unknown in a sea of folk who have benefitted from their contributions. The claps that followed Ms. Evers to the stage were unfamiliar and courteous as opposed to the enthusiastic, her deserved reaction. What does it mean to live in a world where our heroes are actors or musicians and the impact of our scholars, civil rights leaders and activists dissolve into a flood of ignorance? What does it mean for revolutionary Malcolm X to be merely an image on a rapper’s iTunes Single? What does it mean for a black network to selectively showcase and commemorate blackness? Also what does it mean for the masses to rejoice and praise the existence of this channel of and this show, overlooking the fatal flaw in the fallacy of progress? It means that the oppressed continue to be oppressed through their oblivion. As our leaders are leaving us to a world they worked to change, it is up to us to stand on their shoulders to sculpt a better tomorrow. So yes, BET has failed us, revealing themselves as advocates for black culture only in name. Black Entertainment Television, where distraction is masked as entertainment- serving as a means to maintain ignorance in the black community, keeping us otherwise oppressed. Another great post Saaraa! Not sure if you saw my post on The Butler. I thought you might like it.